Dermaplaning, or ‘epidermal levelling’, is a fast, safe, non-invasive treatment which can improve many skin conditions. Dermaplaning treatment is performed using a blade to gently exfoliate the skin. It removes the outer layer of dead skin cells, along with fine facial hair commonly known as ‘peach fuzz’ or vellus hair. The treatment removes the hair gently and safely without stimulating hair growth. This exfoliating treatment is an great complement to chemical peels or microdermabrasion and is a good choice for anyone who has extremely sensitive skin, redness or rosacea. It immediately leaves the skin feeling smooth, supple and vibrant. Dermaplaning is safely performed using a sterile surgical blade. The blade is held against the skin at a 45-degree angle and is stroked gently along the skin to remove the outermost layers of dead cells. At Assure, we recommend a monthly dermaplaning session, which includes the blading treatment and a light enzyme peel. To find out if dermaplaning in Perth can help you, the first step is to book a free consultation with one of our dermal therapists. 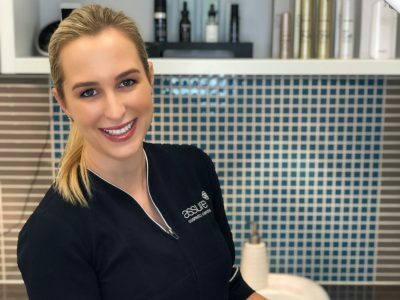 Is Perth dermaplaning right for me? It is possible to improve many skin conditions with dermaplaning treatment at Assure Cosmetic Centre. If you have sensitive skin or suffer from redness or rosacea, then dermaplaning may be a suitable treatment for you. Read more about who is suited to dermaplaning in our FAQ below. Dermaplaning has an immediate result, making the skin’s texture feel more smooth and appear more vibrant. It has an added advantage of boosting the absorption effectiveness of skincare products, as the skin’s outermost layer and dead skin cells and fine hairs are removed with the blading treatment. To find out if dermaplaning can help you, book a free consultation with our dermal therapists. Who is dermaplaning suitable for? All skin types can be treated with dermaplaning, including sensitive skin. Dermaplaning is an excellent option for acne-prone skin, as long as there are no active lesions present. Deramplaning is safely performed by using a specialised sterile surgical instrument. Following preparation, the skin is held tight and using a gentle scraping method at an angle of 45 degrees, the outermost dead skin layer is scrapped off. The treatment is only performed on the face. Dermaplaning should only be undertaken by a qualified dermal therapist who has been professionally trained in the treatment. Speak to us to find out more about our training and treatment standards at Assure. After your Perth dermaplaning treatment, your skin may feel tight or warm, similar to a mild wind or sunburn. Slight redness and dryness can also be expected in some cases, but subsides within 24 hours. 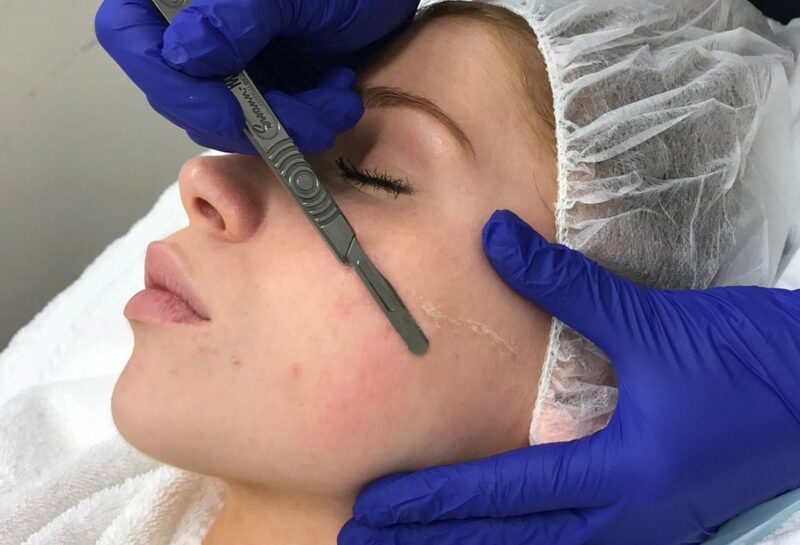 How often should I have dermaplaning? A dermaplaning treatment takes approximately 30 minutes, which includes the blading process, followed by a light enzyme peel. The treatment can be repeated every 3-4 weeks. How much does dermaplaning in Perth cost? Your initial consultation with our dermal therapist is completely free of charge and without obligation. If you decide to go ahead, dermaplaning costs $125 per session, which includes the blading treatment and a light enzyme peel. We also offer discounted pricing for a treatment series. Please click here to see our full price list or contact us to book your free consultation.